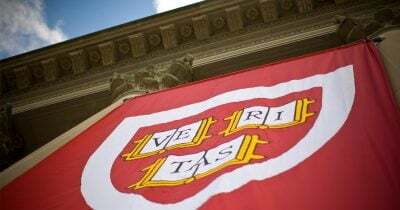 “Fair Harvard” lacks fairness. VERITAS (truth), the university’s motto, lacks meaning. Harvard opposes what deserves high praise, supports what demands condemnation. My alma mater’s actions are disgraceful, earlier including me on a university fake news site list – along with some of the most highly respected web sites I know, bastions of truth-telling on vital world and national issues, a notion anathema to “fair Harvard,” the university’s alma mater. Inviting the head of the CIA, a global Mafia hit squad boss, to speak on campus endorses its criminal activities – subversion, orchestrating coups and color revolutions, assassinating foreign leaders, and torture its specialties, terrorizing targeted nations, violating international, constitutional and US statute laws with impunity. Freedom and the CIA’s existence are incompatible – at home and abroad. On Wednesday, the Kennedy School announced Manning’s invitation to speak on campus as a visiting fellow. Manning deserves high praise for acting courageously. Instead, she was tortured and imprisoned. She’s one of the nation’s best – a real American hero, having taken great personal risks to reveal vital truths everyone has a right to know. Former Attorney General Ramsey Clark once said US “jails are filled with saints,” some of America’s best ruthlessly treated. Manning was tortured, imprisoned and otherwise abused for courageously doing the right thing – released last May, her unjust sentence commuted by Obama, who never should have permitted her arrest, torture, travesty trial and imprisonment in the first place. Featured image is from harvard.edu.